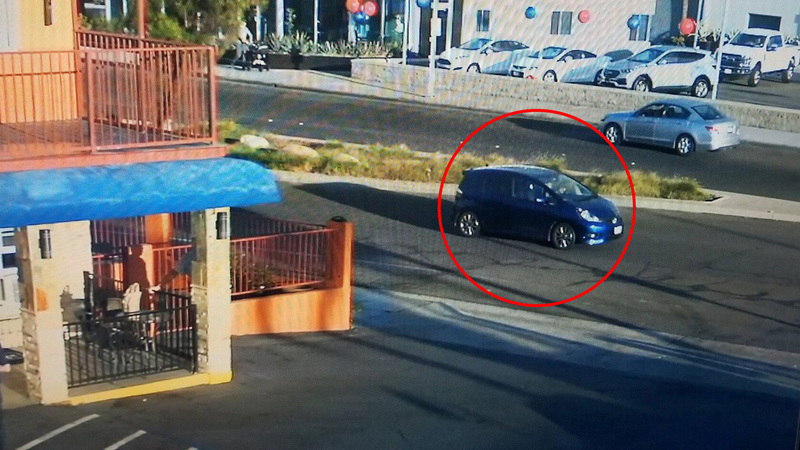 A 25-year-old woman is behind bars Friday on suspicion of striking a 9-year-old boy with her car, seriously injuring the bicyclist, along an East County street before fleeing the scene, El Cajon Police said. Officers responding to West Main Street and Sunshine Avenue in El Cajon found the child lying in the roadway, unconscious, shortly after 7:30 a.m. Thursday, according to police. Medics took the victim, whose name was withheld, to a hospital, where he was admitted for treatment of significant head trauma. According to witness accounts, the eastbound motorist, later identified as 25-year-old Courtney Webber, apparently ran a red light and drove directly into the path of the child as he pedaled to the north, Lt. Stephen Kirk said. Investigators located Webber’s blue Honda Fit on Thursday evening at her Lakeside residence and took her into custody after finding her hiding under a bed in one of the bedrooms, Kirk said. Webber was booked into the Las Colinas Detention Center on suspicion of felony hit-and-run and was being held in lieu of $50,000 bail, according to jail records.